Modern ergonomic electric guitars made in the USA and Canada. 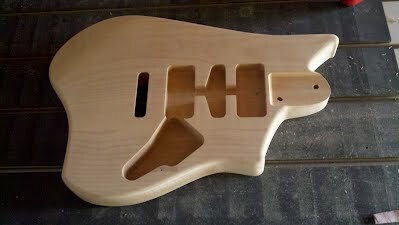 During the fall of 2011 I started to wonder: rather than wait for an affordable guitar to magically appear that appeals to my idiosyncratic traditionalist/modernist tastes, what would it take to just make one myself? Over the course of many late nights the question became a concept, the concept became a sketch, the sketch became a guitar, and just like that, a personal creative exercise became a business. My first instrument was the violin, which I played for 17 years starting at age four. Five of those years were at Juilliard, where I was thrown into the ring and flattened by the future heavyweights of the classical music world. The experience gave me much better ears if nothing else! As a teenager, I slowly became aware of another world via radio and my friends’ cassette tapes. Andy Summers, The Edge, David Gilmour, Jimmy Page, Jimi Hendrix — I didn’t know all their names at first but couldn’t get enough of the incredible sounds they made. 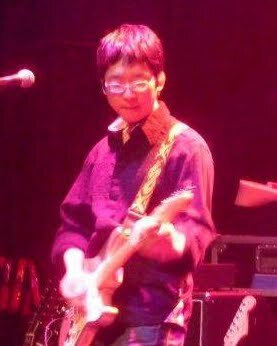 Freshman year of college I blew my entire $200 in savings on my first guitar, a plywood Les Paul copy, and a junky solid-state amp. Heaven! Fast forward to today: I’ve recorded and gigged in bands in DC and NYC, most notably with the Pink Floyd tribute Us Not Them. Along the way I’ve experienced the typical gigging musician’s ups and downs: driving to a show in Toronto in a white-out blizzard, electric shocks, critical gear mishaps, squandered opportunities, con-men, flakes, great gigs, good friends, a wealth of education. On the book-learning side, I studied mechanical and materials engineering at Harvard and dabbled in electrical engineering, computer science and a then-new technology called CAD/CAM, with which I diligently milled blocks of wax into funny shapes. Eventually I earned a law degree at Columbia and now work as an attorney in the media industry. Who would have thought that almost 20 years after my last engineering class, I would finally put it to real use designing guitars? Funny how life works! B-Way Guitars is first and foremost a labor of love. Each Mercury Head is a statement about what I stand for and value and will be a part of my legacy on this planet, hopefully making music long after I’m gone. My goal is to ensure that every Mercury Head owner enjoys a lifetime of exceptional tone, playability and beauty and is 100% satisfied not only with their purchase but also with my communication and support. I hope you find as much joy in playing one of my guitars as I had in producing it! "B-WAY", "MERCURY HEAD", the stylized brushstroke "B" design, the "B-WAY" logo, all guitar body, pickguard and headstock shapes pictured on this website, and all copyright, trademark and other intellectual property rights embodied in any of the foregoing items, are the sole property of Benjamin Shin. All rights reserved. © 2011-2019 Benjamin Shin.